2. One of my latest and favorite songs on Alt Nation is "Dust and Bones" by Night Terrors of 1927. The video is a wee bit macabre, so just listen to the song...the video is inappropriate for a happy list, LOL! *but* The song makes me happy! 3. My girls love Free People, and seeing this flapper dress made me happy! It would be so pretty to wear to a summer wedding or party. 5. I cannot wait until The Great Gatsby is released in May. Fitzgerald's novel is one of my all-time favorites, and I think the 2013 version is going to be fantastic. 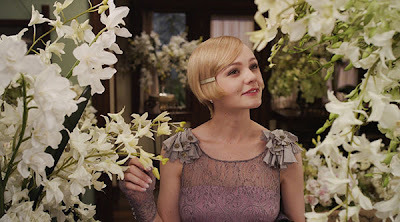 Flapper hairstyles will probably suddenly become the most requested at parlors for the summer. :D So happy about this movie! What's making you happy today? Link-up and share! Okay we are going to see the Great Gatsby together! It is one of the library book reads I read it ages ago and it contributed heavily to my love of historical fiction and of the Roaring 20's, you should check out my 1920's Pinterest board...want to be added to it? I love your happy list...I really do need to start doing this...I've hesitated because I have a hard time coming up with 5 things. Thanks for sharing your happy list and I can't wait to hear about that book you got! visiting here today made me pretty happy! Oh I cannot wait either to see that film. I am happy to see that dress and the site which I will be visiting next. I have to remember to participate next week. I am looking forward to the new Gatsby movie, too. I think the actors are well cast. I love all the styles from back then, too. I think I was born at the wrong time! The Great Gatsby looks awesome!! I can't wait to see it! I looove that dress! FreePeople actually contacted me about a post, but I haven't heard back to them since... I can't wait for the Great Gatsby either! I loved that book! Love your happiness for this week. I just saw some clothes from Free People. 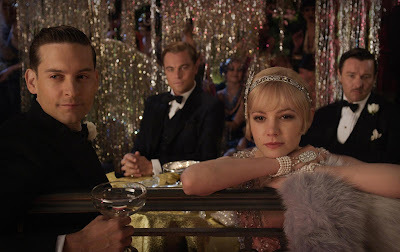 Those style will be so in when Gatsby hits the theaters. Looking forward to that movie. A visit to your blog always makes me happy. :o) My husband's grandmother, a young girl in the 20's, wore Shalimar all her life. When she passed away we found several bottles of it that she had been given as gifts...and obviously couldn't use up! It does smell divine. Have a good rest of the week! What a great song! The twenties are definitely one of my favorite decades too. When I was in college, I took an English lit class on the Harlem Rennaissance; that literature has some good slang. Can't wait to see Leo as the Great Gatsby. Oh I love your happy list!! I too can't wait to see that movie! I just watched your trailer which is so much better than the one I've seen!! Your fav song video was interesting and the song so powerful!! I can hardly wait for the movie. I've seen the trailer and it looks promising. 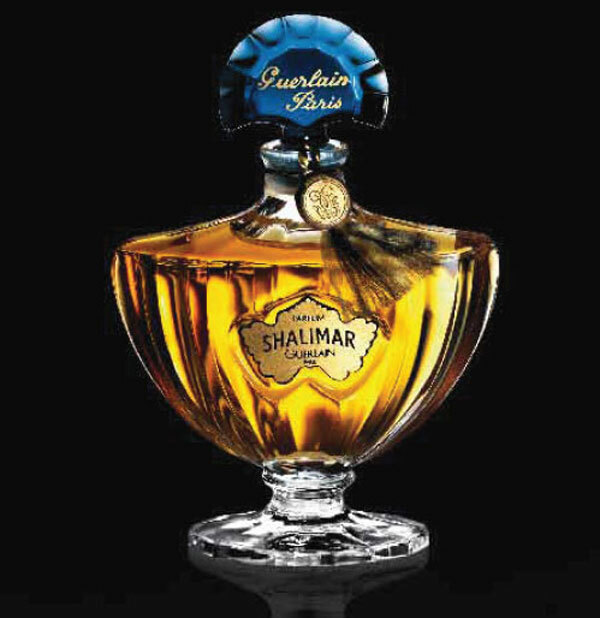 Shalimar is a favorite fragrance...my grandma loved it too and it always reminds me of her. Such a sweet scent. That dress looks absolutely amazing. I love the style of the twenties. The book looks interesting. I may have to check it out. Such a great song! It was fun to listen to while I read. That's a great happy list! So fun to learn a little bit about you! I'm looking forward to The Great Gatsby too! Sorry I'm late, late as Alice this week! I love the dress and it would be beautiful on both your girls. I am happy to hear the The Great Gatsby is being released soon, I love this book!